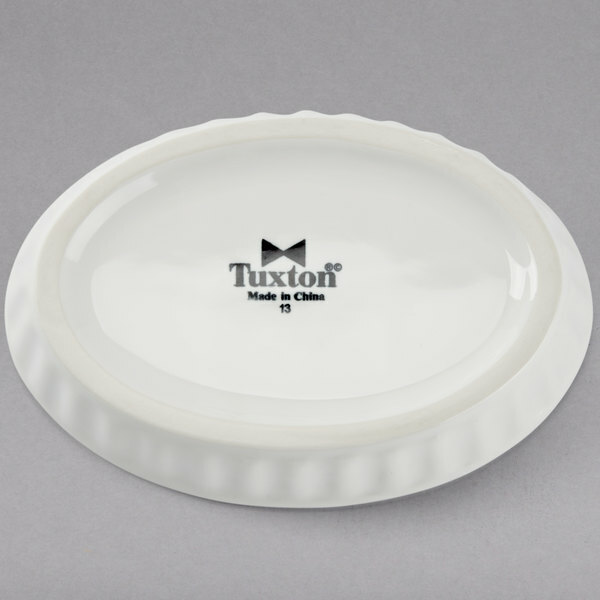 Add an elegant touch to your dining presentation with this Tuxton BWK-0502 DuraTux 5 oz. white oval fluted souffle / creme brulee dish! 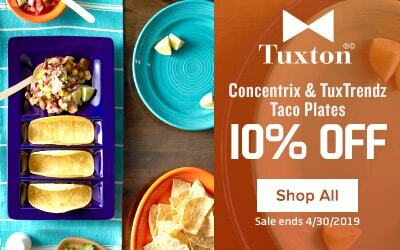 Featuring an attractive, fluted design and a round form, this dish allows you to serve your decadent desserts and savory side dishes in style. 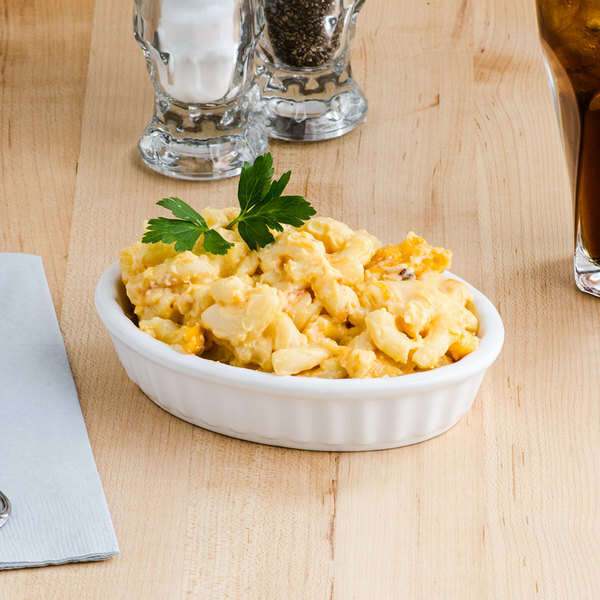 Its white color brings a classic look to any tabletop setting while also providing superior contrast, making your most popular oven-to-table offerings seemingly pop off the table for an eye-catching appearance. Made of strong china, this durable piece stands up against breakage, chipping, and scratches that are commonly caused by the wear and tear of everyday use. 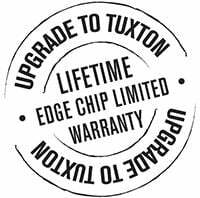 It's also fully vitrified to prevent moisture absorption and is covered by Tuxton's lifetime edge chip warranty for quality assurance. 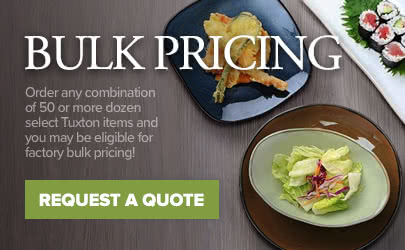 Perfect for restaurants, cafes, and bistros, this DuraTux dish is sure to enhance the presentation of your signature menu items and leave a lasting impression on your guests. 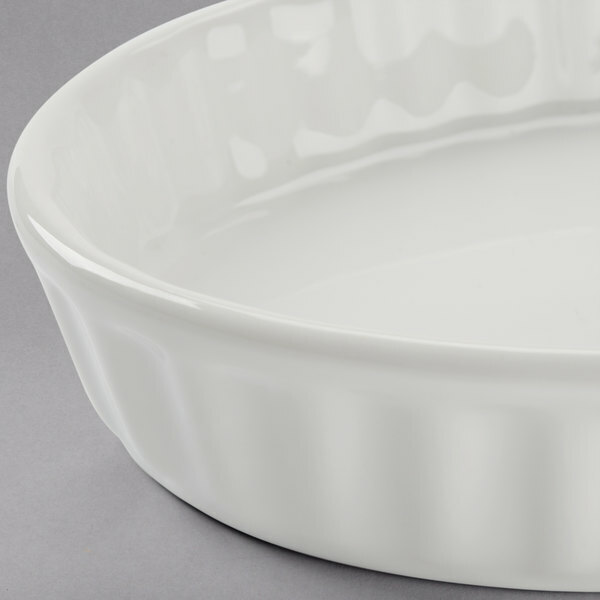 This oval creme brulee dish is economical, durable and can be used for more than just creme brulee. it cooks evenly, and can be used to serve a multitude of hot or cold sides, and other types of desserts. The simple white design always makes a great presentation. 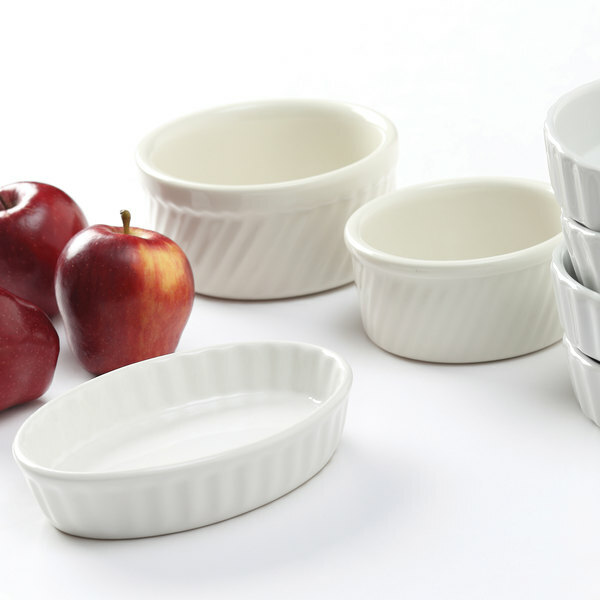 These creme brulee ramekins are beautiful to look at as well as useful in the kitchen. I use these for all sorts of custards and they turn out well every time. They allow custards to bake evenly and they individualize portions for a pretty presentation as well as a way to be more diet conscious. 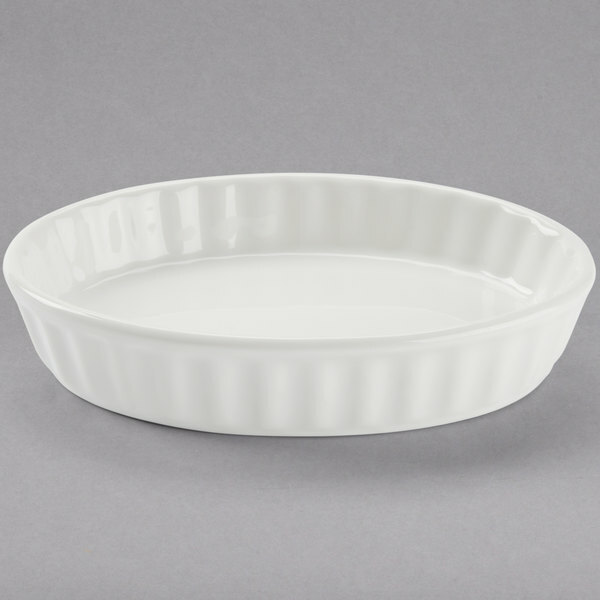 I love the oval fluted creme brulee dish because, in my opinion, it is a little more elegant then the classic ramekin. It also allows for more of that sugary crust.